Academic WorldQuest™ is a fun, friendly, and powerful team-based knowledge competition designed for high school students keen to learn about international affairs. This flagship program involves both our CWAC locally sponsored AWQ contest as well as the AWQ championship in the nation's capital. Students, with teacher guidance, need to be prepared for the increasingly interconnected and complex world of the 21st century and Academic WorldQuest lets them show what they know! Originating as a global trivia contest created by the World Affairs Council of Charlotte, Academic WorldQuest has been developed by the World Affairs Councils of America as a flagship youth education program, now in its 18th year. WACA has expanded the program to some 50 Councils that host local AWQ competitions annually that engage nearly 5,000 high school students nationwide. The program culminates in the Carlos and Malú Alvarez Academic WorldQuest National Competition in the spring in Washington, DC. The Columbia World Affairs Council invites you and your high school to be a part of the 2019 Academic WorldQuest competition. Last year, we had teams from Ridge View, Columbia, and Dutch Fork high schools compete, with Dutch Fork taking the gold to Washington, DC! We are excited about this year’s competition and we want you and your students to be a part of it! 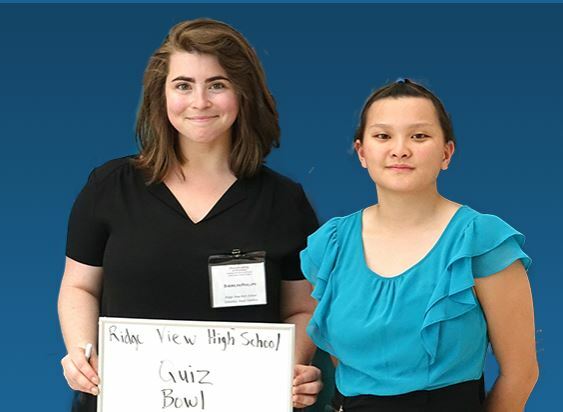 Teams consist of four students plus alternates who are passionate about current international politics, geography, global economics, history, and world cultures. Typically, teams prepare in an after-school setting over the course of several months. Do you think your high school has what it takes to become the CWAC’s 2019 Academic WorldQuest champions? Please down load these flyers to share with your students and colleagues. The World Affairs Councils of America’s AWQ 2018-2019 Official Study Guide is the primary resource to help you and your students prepare for the topics covered in the timed question-and-answer AWQ local competition hosted CWAC. The AWQ Study Guide is also an essential resource for the Carlos and Malú Alvarez Academic WorldQuest National Competition, hosted by WACA April 26-27, 2019 in Washington, DC. Winning teams are invited to represent their high school, city, and local Council at the national AWQ championship weekend, which includes the competition, unique programming planned to enhance the global education experience, and an opportunity to meet and engage with more than 200 like-minded peers from around the United States. Get the 2019 Study Guide Here! The Columbia World Affairs Council, in partnership with our friends at SCGeo (South Carolina Geography Education), hosts the 2019 regional competition at the Department of Geography, Calcott Building, University of South Carolina, Columbia, SC 29208. Box lunch will be provided. Free in the Bull Street garage next door. The World Affairs Councils of America will host the Carlos and Malu Alvarez 2018 Academic WorldQuest National Competition in Washington DC begins with a Welcome Reception on Friday, April 26. followed by the competition on Saturday, April 27. Congratulations to our past local competition winners! 2017: Ridge View High School!